Seven hundred species of dinosaurs are named till now. However, recent scientific study says that only half of the species can be separated having unique characteristics. There are about 300 valid genera of dinosaurs though 540 were named. Also, recent estimates say that 700 to 900 species of dinosaurs are still to be revealed. Most of the genera have one species while some have more. Even if around 700 species are valid, it is less than 1/10th of living birds, 1/5th of mammal species and 1/3rd of spider species. These are beast foot and involve all carnivorous dinosaurs. It is surprising, but birds evolved from theropods and not from ornithischianm, which are bird hipped dinosaurs. This group includes scary dinosaurs and all the popular ones like rex, tyrannosaurus and velociraptor. Sauropods walked on 4 legs and grew to huge sizes. These types are herbivores and also include classic dinosaurs namely brachiosaurus and diplodocus. This word means shield bearers. It includes armored dinosaurs like ankylosaurus and stegosaurus. This category lived from early Jurassic to cretaceous. Cerapods have many groups in it. Some are triceratops, ornithopods, ceratopsian, etc. Smallest dinosaurs were chicken sized while largest were 100 feet long. Various types of dinosaurs had various diet patterns. Some were carnivores, some herbivores and others omnivores. It is misunderstood by many of us that dinosaurs lived together, but the fact is that they lived during the Mesozoic era that lasted for millions of years. In this era, new dinosaurs evolved and some got extinct. According to the time distance, dinosaurs like triceratops and tyrannosaurus rex are closer to us. Some earliest kinds of dinosaurs were plateosaurus and stegosaurus. During the age of dinosaurs, the world was different or rather the age of dinosaurs was so long that the world considerably changed. At the early dinosaur age, the earth was one super continent called Pangaea. During this time, there were different animals, their species, etc. many dinosaur species were closely related. The super continent broke during the final era of dinosaurs then started the modern globe. Today, a sophisticated world of technology has evolved. This has made everything easy. A dinosaur can now be drawn easily on your tables and mobile phones. Learn how to draw dinosaurs step-by-step by using new mobile applications. You could also try out drawing different species of dinosaurs that lived for millions of years. 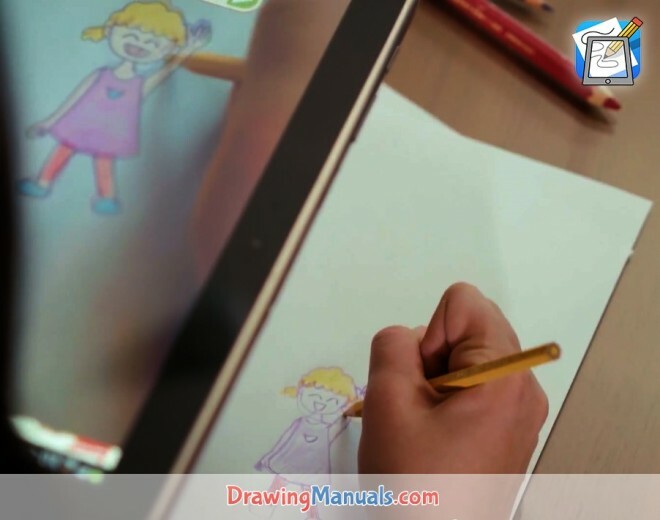 The drawing applications shall help you and your children to learn more about these giant living species of dinosaurs. Your kids would love to see these amazing animals and draw different these gigantic creatures on the phone simply by using their fingers. This activity would definitely be amusing and fun for your children.